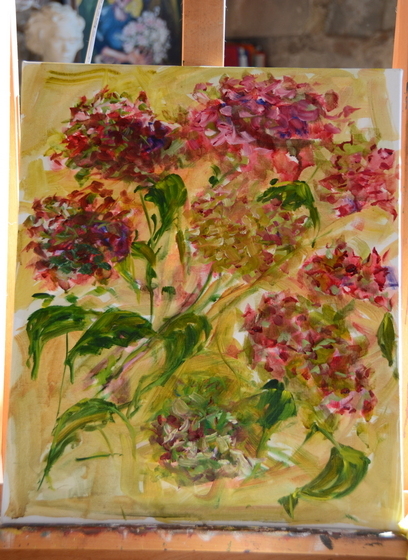 Late season hydrangeas in oil. 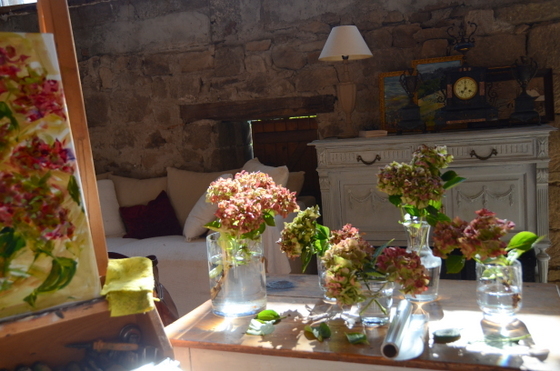 My hydrangeas are at the end of their summer colour. they were beautifully white and I had dark pinks. The whites turned to greens and the pinks to this beautifully seductive deep burgundy. Some really suffered from the hat and drought of August and crumpled into brown and black splotches among the greens and magentas. I love these colors…rich and old and weathered. 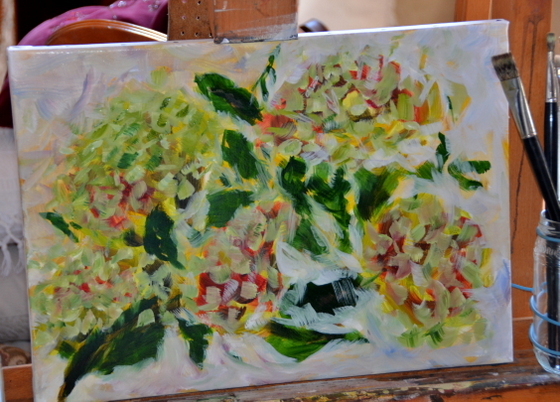 I am more impressed with the halfway through hydrangeas 2 than with the completed painting. At this stage I wanted to stop, but just wanted to do a touch more to the surrounding greens. 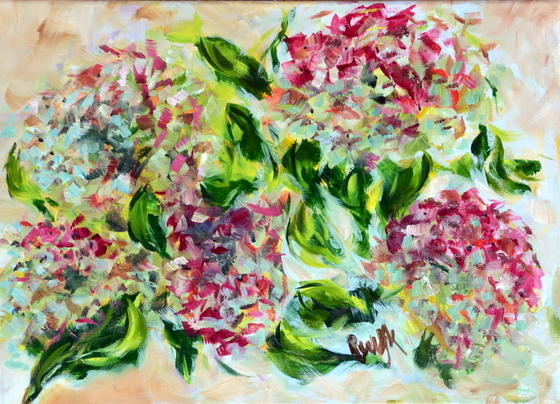 Before I could stop myself, I added touches all over and the painting completely changed. So much for being happy with the painting before adding touches..